The smart home movement is popular for many reasons. Some people love automating every aspect of their home so they don’t have to touch light switches or door locks. Some people love the convenience of monitoring security cameras from anywhere. Some people just love tinkering with electronics. For many, though, saving money with smart products is the most important reason. Let’s look at how smart home technology can save you money. Saving money on electricity is pretty simple. When you’re not watching TV, turn it off. When you leave the house, turn off the lights. When your AC is running, close the windows. These are all good habits, but everyone forgets sometimes. Smart products can make it easier to shut off lights and appliances when they’re not in use. Phillips Hue bulbs fit all of your standard fixtures. 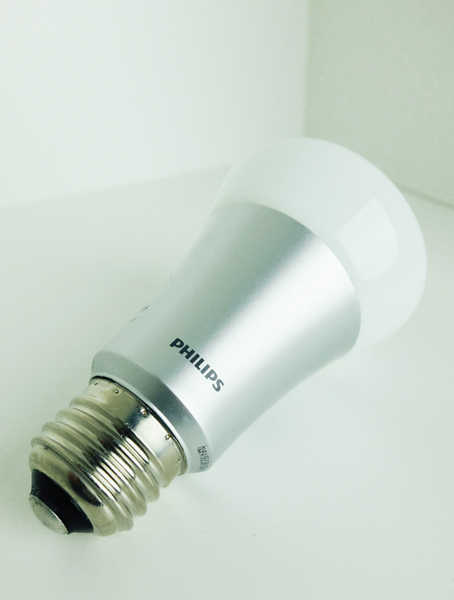 Smart light bulbs are often LED, which use less energy than incandescent or CFL bulbs. They allow you to schedule on and off times so they won’t stay on while you’re at the office all day. They also allow you to control them remotely, which is nice if you need to deviate from your schedule or simply don’t use a schedule. Smart bulbs make it easier to only use electricity when you need it. I’m a fan of the Phillips Hue lights. Note: Wi-Fi LED bulbs may not qualify as an energy saving solution if the power required for Wi-Fi offsets the savings from the LED. I plan on comparing the energy use of a Wi-Fi enabled LED bulb vs. a standard LED bulb. Stay tuned. Instead of replacing the bulbs in your house, you can install smart wall switches. This allows you to use your existing bulbs but still schedule and control your lighting remotely. These smart switches replace your existing switches so you’ll have to get out your toolbox to install them. If you’re not comfortable installing them, it’s a simple job for a handyman or electrician with the right tools. Insteon makes several smart switches that play nice with Apple’s HomeKit and other smart products. This Belkin WeMo smart switch replaces your existing wall switches. Don’t forget your elaborate Christmas light setup in your lighting schedule. Insteon makes plug-in devices that allow you to control lamps, appliances and anything that plugs in. These come in three flavors: dimmer, on/off and outdoor. Of course, if you don’t need wireless connectivity you can get a simple 24 hour timer from your local hardware store for about $10. Curious how much energy a particular appliance is using? Smart meters will measure electricity usage and output it to a CSV file for your review and analysis. Spot usage trends and estimate how much it costs to operate particular appliances. You can use this data to make better decisions about which appliances you use and how often you use them. Heating, ventilating and air conditioning (HVAC) has been automated and optimized for decades because heating and cooling your home can be expensive. There are simple patterns to when you want it warm and cool. Is the house empty every weekday? Don’t heat it. Are you home for dinner every night? Warm it up. Smart products can make your home more comfortable and more efficient. Better efficiency means lower utility bills. Who doesn’t want that? The Nest thermostat learns your schedule and allows remote access. I’ve mentioned thermostats in most of my articles because they’re a simple yet effective way to automate your heating and cooling. Programmable thermostats been around forever and have proven their value. 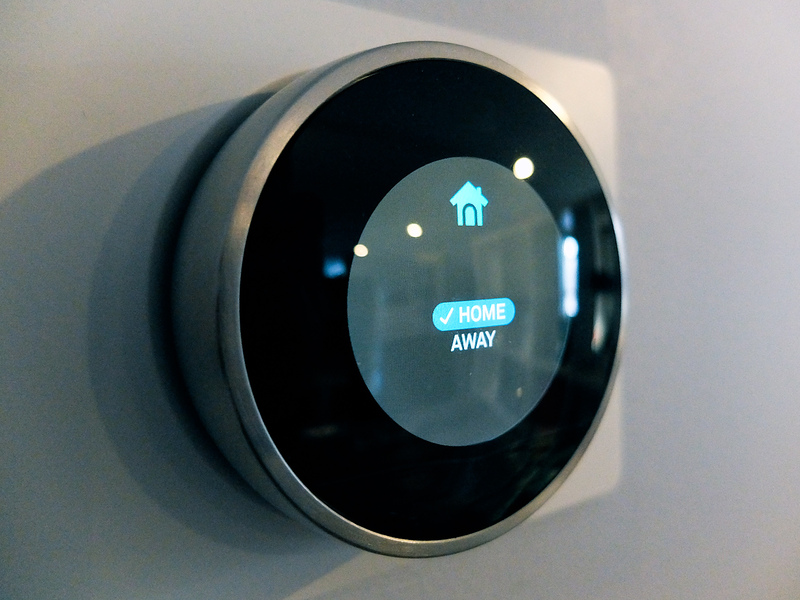 If you don’t have a programmable thermostat in your home already, consider upgrading. If you don’t have a thermostat at all, I’d like to meet you. For many people, a $25 Honeywell will work just fine. But if you’re looking for more bells and whistles, like remote control and integrations with other products, the Nest learning thermostat is a solid product. Heating and cooling your home efficiently is good. Only heating and cooling the rooms you actually use is better. Why heat the spare bedroom that you never use? Smart vents allow you to control the temperature of individual rooms by managing the flow of air through the HVAC vents. Systems like Keen and Ecovent require air vents for each room and a proprietary hub to control them. Note: Current smart vent solutions are pretty expensive at $80+ per vent, which makes the ROI horizon pretty long. I’m optimistic costs will fall over time. Often times the relative feel of a room is more important than the actual temperature. I’ve spent summers in apartments without air conditioning. Although it wasn’t pleasant, I got by just fine with a few box fans and open windows. Sometimes it makes sense to crank up the AC, but sometimes all you need is a breeze. There are a handful of smart fans on the market that can cool you down without running a central AC unit. Since fans don’t actually cool the room (they just blow air around), they don’t need to run when nobody is near them. Pairing a fan with sensors provides a cool breeze when you need it and energy savings when you walk away. The Haiku fan is expensive but has some pretty cool features, like motion sensors, scheduling and Nest integrations. Depending on your home and the amount of natural sunlight it’s exposed to, smart shades may or may not yield energy savings. Homes designed for passive heating and daylighting have the most to gain from smart shades. Flooding your home with natural sunlight can warm it significantly, which may or may not be a good thing. In the winter this is great. In the summer, not so much. If your home has a lot of windows, manipulating how much light gets in throughout the day can lower your heating and cooling costs. During warmer months, prevent direct sunlight from heating your home by closing the shades. During colder months, open the shades during the day to absorb heat and close them in the evening to retain heat. Insulated shades keep the heat in or out, depending on your goals. Serena Shades let you create schedules and control them remotely. They also integrate with Apple’s HomeKit, allowing you to control the shades by speaking to Siri. Large yards in dry climates can be expensive to irrigate. Most sprinkler systems run on a schedule and have rain sensors to optimize water usage. Smart sprinkler systems have some additional features that can further reduce the amount of water required to keep your yard healthy. Skydrop and Rachio are sprinkler controllers that connects to weather reports via Wi-Fi and run based on current and forecasted rain. They also account for humidity and utilize cycle and soak patterns to minimize runoff. 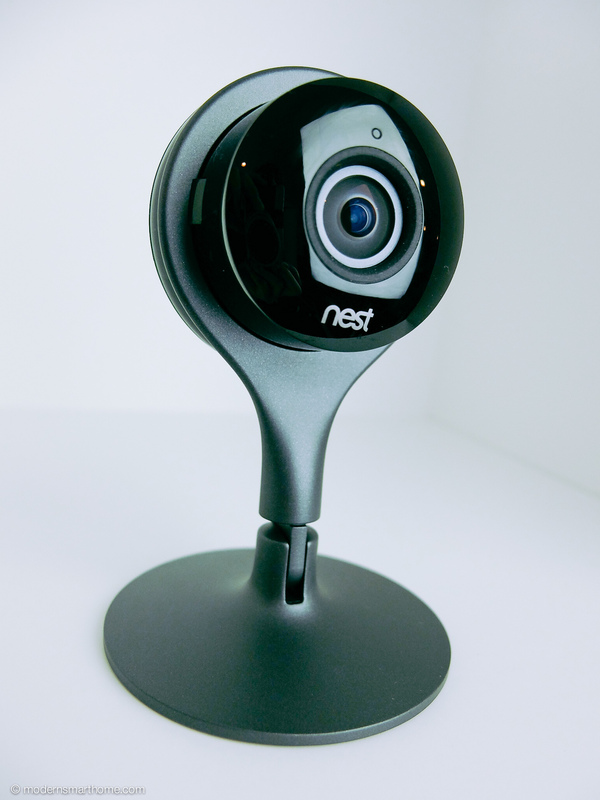 The Nest Cam is an affordable starting point for home security. 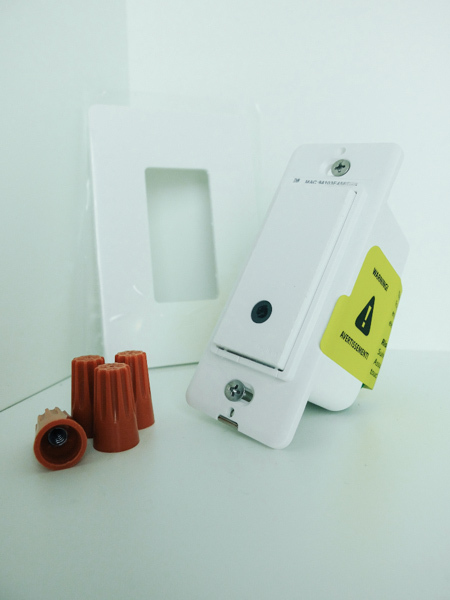 Security systems are a gamble from a purely cost savings point of view. People who install them hope to never need them. The best-case scenario is leaving the system running for 40 years and never needing to look at the footage or respond to an emergency. “Getting your moneys worth” means responding immediately to a breach, minimizing damages or using the footage to win a court case. Although they may never directly save you money, many homeowners agree the peace of mind is worth the investment. And, in the unfortunate case your home is invaded, the security system may help you recoup your losses. Security systems are getting cheaper and easier to install. You can still pay thousands to have a custom ADT system installed and monitored. Or, for a few hundred dollars, you can set up a Nest Cam or Insteon camera and start monitoring your home today. They aren’t perfect but they’re better than nothing. Having a security system in place can potentially lower your insurance premium. First, having fewer claims on your homeowners insurance leads to lower rates over time. Second, providers such as Farmers Insurance provide discounts for qualifying security systems. Disclaimer: If you’re considering purchasing a security system to lower your insurance premium, verify with your insurance agent first. Get notified before small issues become big problems with environmental sensors. Place moisture sensors in your basement to detect leaks before they become floods. Place temperature sensors near your plumbing to get notified if temperatures approach freezing. There are sensors for just about everything. Most of these sensors have existed for a long time but haven’t had Wi-Fi adapters and useful integrations. The falling cost of Wi-Fi connected sensors is making it easier and more affordable to monitor and avoid catastrophes in your home. I’ll update this list as I find more. In addition to rebates, many smart home technologies can increase the resale value of your home. This obviously depends on the market, target audience, etc., but UpNest and MakeUseOf both have lists of what upgrades they think increase home values. Tell me how you use smart products to save money in the comments. Share this article with your most frugal friend and see what they think. And don’t forget to like us on Facebook and subscribe to our newsletter for more money saving articles like this.